Or it just might be, that there are really no games developed for my taste anymore. I like to play realistic, mature point & click games such as Black Mirror or Secret Files. Face Noir was also good, if you like me to mention a more recent example. When I was skimming through a list of upcoming games, I noticed, that there are a lot of 1st person games, and to find a 3rd person game controlled by mouse is unfortunately an increasing rarity. And, if there are those, they are silly-looking, stylized art games or brain-puzzlers, which I do not like. So. Are there any mature, realistic, 3rd person point & click games coming anymore? Or are they really completely dead? ~ Flight Of The Amazon Queen ~ Best Adventure ever! I think mature and realistic are a bit hard to define exactly, so there’s much room for interpretation. I mean, many would say that Gabriel Knight games fall into that category, but games being about werewolves and stuff… uhm… yeah, not too realistic, and not necessarily mature either. Regardless of that, yes, there are such games being made all the time. One that comes to mind is The Mystery of Oak Island. The only one i can think of is Blacksad, if you don’t mind that all the characters are animals. Goetia was really good, and about as realistic as Black Mirror (if not more so). Pillars of the Earth was also good, and realistic. Unavowed and Detention also fit your criteria. And frankly, these are all much more interesting games than the relatively mundane Black Mirror and Secret Files series - which I agree have become almost extinct. Jonathan Boakes promised to deliver Silent Night this month, but one can never tell if this gonna happen. KAPIA is falling under the radar of most. Oh yes… TOTALLY realistic. 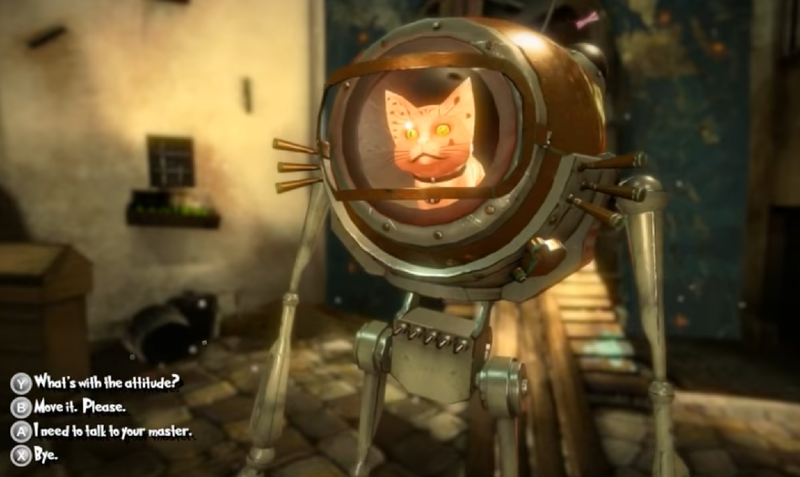 My best mate has one of those talking cat-robot thingies. but why? you can’t contain futuristic (mature) games in a specific frame. but point taken. I think Moonbird would have to help us out in relation to futuristic games. The examples she gave are all modern-day which tells me she is probably not interested. I think this brand of realistic game we are talking about has always been rare. It’s not like they suddenly disappeared. Especially the last part is challenging, because we have to rely on some press releases, Kickstarter pages, and other such to evaluate whether a particular game fits the description or not. Some crime solving and mystery games probably are what the OP is looking for, but apart from The Mystery of Oak Island, none of the other upcoming games that I’m aware of (and there surely are game projects that I have never heard of) fits the description here. That part confused me to be honest. The OP has not played games for several years, so why must they be upcoming? If they assumed that no suitable games have been released in the past few years, at least allow us to correct them. It does not look like that from the screenshots. I think his/her concern was if that kind of games are dead, that’s why he/she asked about upcoming games, wasn’t asking about recommendations of that kind of games for playing. I’m not sure I see a difference. There may have been a bunch of suitable games released in the past few years he/she hasn’t heard about. If the genre is “not completely dead”, which is the question being asked, it shouldn’t matter if it’s “not completely dead” in the near future or the recent past. That’s why I have a feeling this is more about a complaint that games are not catering to the OP’s tastes, and that asking about already released games would prove him/her wrong. So it wasn’t asked. I think the examples given by MoonBird are quite clear. There was a period (like 10 years ago) when this sort of games - 3rd person semi-realistic ags with 3D characters and pre-rendered backgrounds - were quite popular, such as the Art of Murder series, the Agatha Christie games, Chronicles of Mystery, the CPT-nominated Dead Mountaineer Hotel, etc. Now they are mostly gone along with a bunch of European developers who used to deliver them.